Patsy's Bus Sales is at the forefront of passenger vehicle safety issues. The nonprofit "Van Angles" program was created to increase educational awareness about safety issues relating to 15-passenger vans. Patsy's Bus Sales encourages you to click here to learn more about vanangels.org and passenger safety. Rules and regulations change rapidly in federal, state, and local laws. 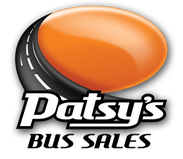 Patsy's Bus Sales prides itself on staying on top of these changes. This site is designed to give you all the information to make sure you are well educated and buying the right bus. I. (a) No person, while driving a moving motor vehicle upon a way or temporarily halted in traffic for a traffic control device or other momentary delay, shall use any hand-held mobile electronic device capable of providing voice or data communication, including but not limited to: reading, composing, viewing, or posting any electronic message; or initiating, receiving, or conducting a conversation; or initiating a command or request to access the Internet; or inputting information into a global positioning system or navigation device; or manually typing data into any other portable electronic device. An operator of a motor vehicle who holds a cellular telephone or other electronic device capable of voice communication in the immediate proximity of his or her ear while such vehicle is in motion is presumed to be engaging in a call within the meaning of this section. (a) To make use of a cellular telephone or other electronic device capable of voice communication to report an emergency to the enhanced 911 system or directly to a law enforcement agency, fire department, or emergency medical provider. (c) To use a Bluetooth enabled or other hands-free electronic device, or a similar device that is physically or electronically integrated into a motor vehicle, for such a purpose to send or receive information provided the driver does not have to divert his or her attention from the road ahead. As used in this section, "hands-free electronic device" means a mobile electronic device that has an internal feature or function, or that is equipped with an attachment or addition, whether or not permanently part of such mobile electronic device, by which a user engages in conversation without the use of either hand; provided, however, this definition shall not preclude the use of either hand merely to activate, deactivate, or initiate a function of the telephone. III. Any person who violates this section shall be guilty of a violation and shall be fined $100 plus penalty assessment for a first offense, $250 plus penalty assessment for a second offense, and $500 plus penalty assessment for any subsequent offense within a 24-month period. IV. No person less than 18 years of age shall use a cellular or mobile telephone or other mobile electronic device, whether hands-free or not, while driving a motor vehicle in motion or temporarily stopped in traffic upon any way, except to report an emergency to the enhanced 911 system or any public safety agency. A person violating this paragraph shall be subject to the fines in paragraph III and license suspension or revocation under RSA 263:14, III. I. A person operating a moving motor vehicle who writes a text messages or uses 2 hands to type on or operate an electronic or telecommunications device, is guilty of a violation. A person does not write a text message when he or she reads, selects, or enters a phone number or name in a wireless communications device for the purpose of making a call. This document is part of a series devoted to increasing the understanding and awareness of the transportation provisions of the Americans with Disabilities Act (ADA). Federal Motor Vehicle Safety Standards (FMVSSs), to which manufacturers of motor vehicles and items of motor vehicle equipment must conform and certify compliance.